More than just equipment talk, you need technique talk! 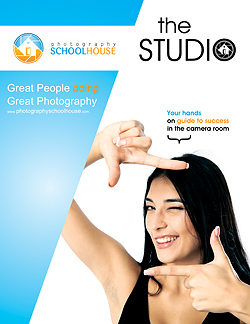 The Studio book is loaded with how tos on proper exposure and metering in the studio, color theory in portraiture, creating Photo Fusion in the studio and out, and much much more. As I said, we're pretty excited. And we want to put a copy in your hands today so we're making this special offer for a limited time ONLY! This is a Digital Download and you receive your product immediately! Learn the basics of portrait lighting. Lighting types, Light position, lighting ratios and more. This video is a great introduction to those just getting started in the studio. 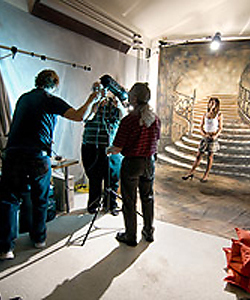 It dramatically shows the purpose of each light in a portrait studio. You'll be able to watch online or download a copy to your computer! Expanding on the first video, we look at different types of lighting . You'll see how to build a head shot booth for beauty and glamour light as well as high key lighting.